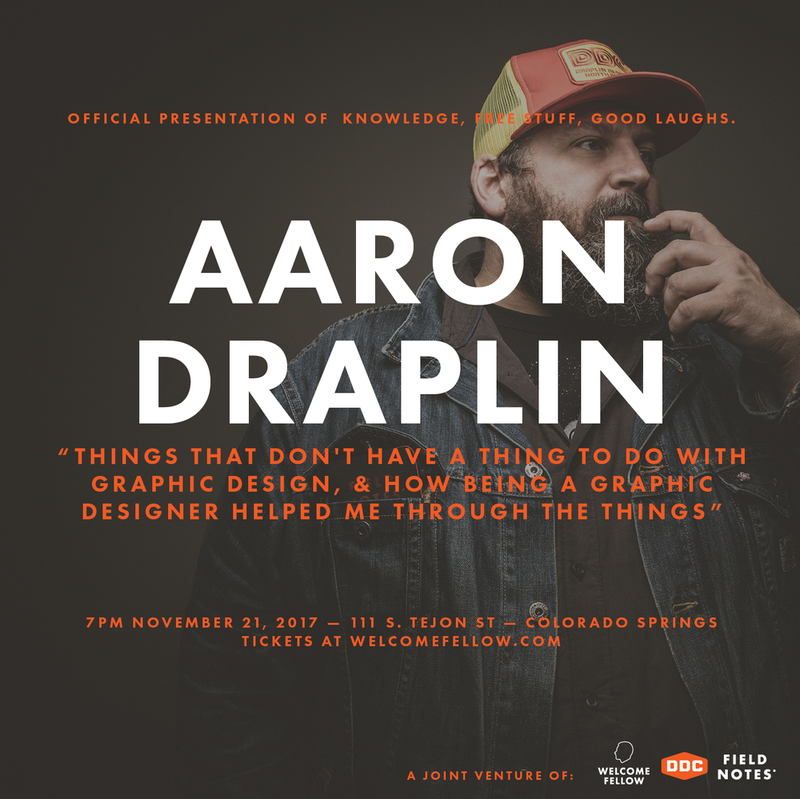 Aaron Draplin in Colorado Springs! We've got a sweet warehouse(esque) venue in Downtown Colorado Springs with a ton of seats. Bring your friends! Pack it in! EVERYONE YOU KNOW! There will be a HUGE spread of DDC Merchandise (Holidays are here people!) Doors open at 7pm. We'll have freebies for everyone, giveaways, and a LEGIT new lecture from Aaron Draplin. Well worth your time PEOPLE! Click here for tickets. “Things That Don't Have A Thing To Do With Graphic Design, And How Being A Graphic Designer Helped Me Through The Things"
As a graphic designer, I'm lucky to make things for all kinds of things. But more and more, I'm realizing the profound impact it has on the things in the rest of my life. Things in my backyard. Things that holds things. Things on the open road. Things in my bank account. Things for my nephew. Things for people I'll never meet. And things on one of the saddest days of my life. That's a lot of things. Plus, we'll update you on all the things we've been up to, aside from all these things. Tons of new things!